Our products don't contain petrolatum, sodium lauryl or laureth sulfates, parabens or phthalates. And we never test our formulas on animals. We invite you to try our entire line of safe, effective, body-loving products. Apply to damp skin in the bath or shower. Gently massage into lather and rinse clean with warm water. This gentle wash cleanses with botanical surfactants and safely nourishes with Vitamin E and Pro-Vitamin B5. 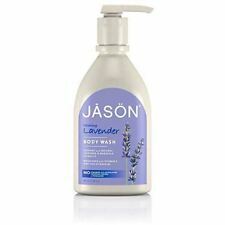 Jasons Natural Lavender Satin Body Wash With Pump 900Ml (4 Pack). Apply to damp skin in the bath or shower. Gently massage into lather and rinse clean with warm water. Calming Body Wash. Our formulas don't contain petrolatum, sodium lauryl or laureth sulfates (SLS), parabens or phthalates. No: Parabens, Sodium Lauryl/Laureth Sulfates or Phthalates. Apply to damp skin in the bath or shower. Gently massage into lather and rinse clean with warm water. This gentle wash cleanses with natural botanical surfactants and safely nourishes with Vitamin E and Pro-Vitamin B5. 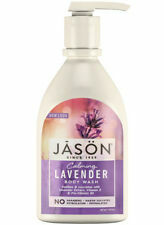 Jasons Natural Lavender Satin Body Wash With Pump 900Ml (6 Pack). Jason Bodycare Lavender Satin Body Wash With Pump 900Ml (11 Pack). 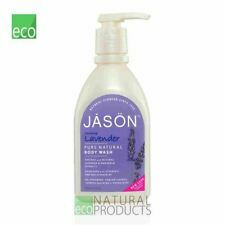 Jason Bodycare Lavender Satin Body Wash With Pump 900Ml (8 Pack). Jason Bodycare Lavender Satin Body Wash With Pump 900Ml (9 Pack).